Mumbai, Feb 20: Bollywood Ravishing Actress Katrina Kaif and Salman Khan have teamed up for Ali Abbas Zafar Bharat. It is known news that, Katrina Kaif was rumoured to be in a relationship with Salman before she was dating Ranbir Kapoor. Since the two have now moved on, a section of fans wants Katrina to tie the know to Salman. 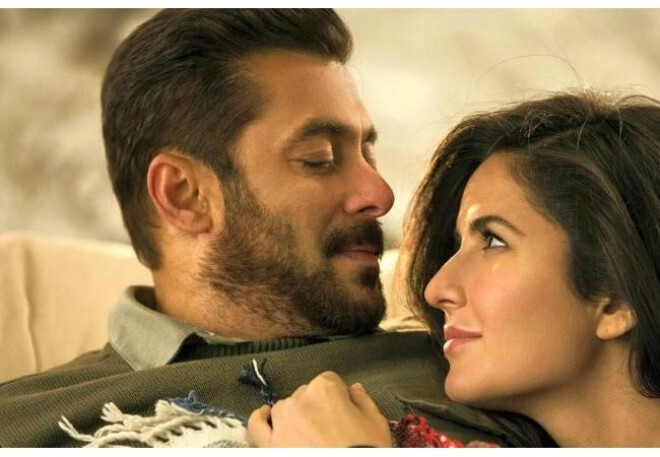 Kat, when made an appearance, on Famously Filmfare was quizzed about a fan's request asking her to marry Salman which reads, "Plz mam he is parfait to you plzzz shadi karlo please." To this Katrina laughed and said,"Hmmm… that’s my reaction." She was also asked by a fan when she would marry, to which she says, "I really don't know. Unfortunately, it takes two to tango in this equation. So, when I get someone good then yes." Katrina was last seen in Thugs of Hindostan and Zero. Though the big films had a huge star cast, it failed to weave magic at the box-office. Katrina who is currently shooting for Bharat will release in June this year.